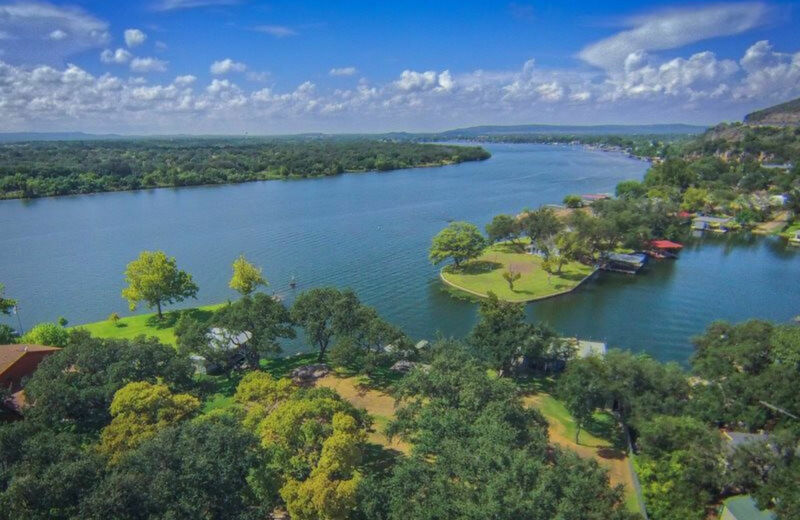 Kingsland, Texas Real Estate, Keller Williams Sterling Group. Choose the "Sterling Difference" today! Kingsland is located at 30°40′02″N 98°26′41″W (30.667102, -98.444627). The town is at the confluence of the Colorado and the Llano rivers, which combine to form Lake Lyndon B. Johnson. According to the United States Census Bureau, the CDP has a total area of 9.8 sq mi (25 km2), of which, 9.0 sq mi (23 km2) of it is land and 0.8 square miles (2.1 km2) of it (7.88%) is covered by water. As of the census of 2000, 4,584 people, 2,103 households, and 1,343 families resided in the CDP. The population density was 509.4 people per square mile (196.7/km2). There were 2,803 housing units at an average density of 311.5/sq mi (120.2/km2). The racial makeup of the CDP was 95.66% White, 0.13% African American, 0.31% Native American, 0.52% Asian, 0.02% Pacific Islander, 2.31% from other races, and 1.05% from two or more races. Hispanics or Latinos of any race were 5.89% of the population. Of the 2,103 households, 18.2% had children under the age of 18 living with them, 55.3% were married couples living together, 6.0% had a female householder with no husband present, and 36.1% were not families. About 32.4% of all households were made up of individuals, and 20.8% had someone living alone who was 65 years of age or older. The average household size was 2.13 and the average family size was 2.64. In the CDP, the population was distributed as 17.4% under the age of 18, 5.3% from 18 to 24, 19.6% from 25 to 44, 24.9% from 45 to 64, and 32.9% who were 65 years of age or older. The median age was 51 years. For every 100 females, there were 91.0 males. For every 100 females age 18 and over, there were 87.4 males. The median income for a household in the CDP was $29,615, and for a family was $33,679. Males had a median income of $27,264 versus $19,255 for females. The per capita income for the CDP was $18,220. About 6.8% of families and 12.2% of the population were below the poverty line, including 21.5% of those under age 18 and 9.6% of those age 65 or over. Among Kingsland's notable places is the 1901 Victorian-style Antlers Hotel, a railroad resort in Kingsland that fell into disrepair in the early 1900s, but was purchased and restored in the 1990s and reopened as the Antlers Hotel, with the Grand Central Cafe Restaurant in Queen Anne architecture and an historic railroad district. The house where The Texas Chain Saw Massacre was filmed  (the Texas Chainsaw House) is located here and has been restored as a restaurant. It was moved here from Round Rock, Texas, from the site of what is now the La Frontera development in Williamson County in the 1998 by the owners of the hotel, and completely renovated to become an on-site restaurant. Also a favorite location is "The Slab", where the road traverses the clear Llano River as it crosses over granite slabs and boulders. Both residents and tourists come to the slab to bask in the warm sun and swim or wade in the clear water running over the granite. Kingsland is served by the Llano Independent School District, and is the location of Packsaddle Elementary School. Jr. High and High-school aged youth are bussed to Llano Jr. High and Llano High School, 18 miles away in Llano, TX.